Universal fit Microphone Stand Clamp is great for holding paper, microphones, phones, or tablets! The clamp can be adjusted from 1 centimeter to 1.5 inches to fit almost all microphone stands. Don't forget this for the next performance! Universal fit Microphone Stand Clamp is great for holding paper, microphones, phones, or tablets! The clamp can be adjusted from 1 centimeter to 1.5 inches to fit almost all microphone stands. The shelf itself is 1 inch long, so it can fit most electronic devices, as well as folders or paper. Very compact, this can be carried anywhere to be used at anytime. Set up is easy, with only six pieces , so you can deconstruct and reconstruct whenever the need arises. Black color blends in with most stands. This is ideal for activities involving speaking, singing, or playing music. Don't forget this for the next performance! 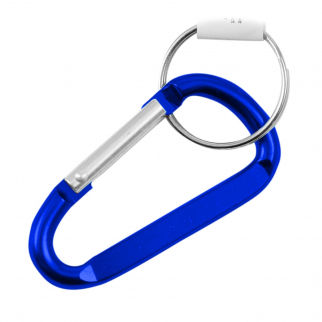 Universal Fit Great for microphones, papers, phones, tablets, and more! 6 Pack Aluminum Multi-Color Carabiner Spring Clip Keychain (Many Sizes, Colors) $ 6.99	• 65% off! 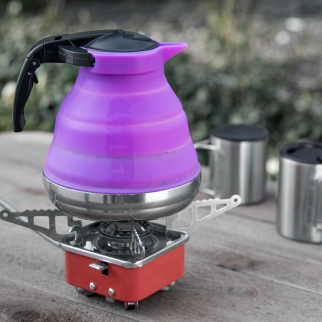 SE OD-SIL1300K-PR Collapsible Silicone Kettle $ 22.99	• 36% off! 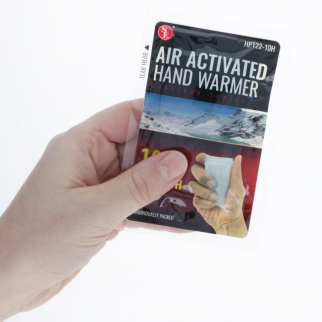 Hand Warmers 8 Hour Protection Heat Pads for Outdoor Activities $ 5.99	• 40% off!